Are you a victim of a sexual assault who wants to apply to the SAVE Fund for free medical care? Visit the SAVE Fund page in the CVSSD Services section. the cost of a sexual assault medical exam. medications to prevent sexually transmitted diseases. emergency contraception and a pregnancy test up to 7 days after the assault. An exam with collection of forensic evidence must be conducted within 5 days (120 hours) after the assault. up to 5 counseling sessions. As a medical provider, you should have SAVE Fund applications on site. Please help each victim seeking SAVE Fund assistance complete a short portion of the form. You must then complete the remainder of the form and submit the application, along with an itemized bill, to the Crime Victim and Survivor Services Division (CVSSD). If you have any questions regarding the SAVE Fund, please contact Valerie Smith at 503-378-5348 or Valerie.Smith@doj.state.or.us. Print additional copies of the SAVE Fund Billing Form (PDF) » or contact Valerie Smith at 503-378-5348 or Valerie.Smith@doj.state.or.us for more. Can services to children be billed to the SAVE Fund? Yes, if the child meets all eligibility requirements. The SAVE Fund is not intended to replace the child abuse medical assessment, which is instrumental in determining if abuse or neglect occurred. The assessment also provides a holistic, sensitive approach to responding to a child’s needs. The primary focus of this fund is adolescent and adult sexual assault victims who, for a variety of reasons, might not currently seek health care after an assault. The victim and provider submit a completed SAVE Fund submission form, along with the provider’s itemized bill, for services provided to the victim. There is a maximum amount the Fund will pay for each service, as noted above. Payment may be denied and more information requested if the form is incomplete or appropriate billing is not attached. What if I am the second provider of a service for the same incident of assault? The SAVE Fund will not pay for duplicative services, necessary follow up treatment or examination services for the same incident. Why send back the form if we are not requesting payment from the SAVE Fund? There is very little information available regarding the demographics of sexual assault victims in Oregon. It would be extremely helpful for future planning to receive the completed back of the form, even if the fund will not be billed for services. We will preserve the confidentiality and privacy wishes of the victim. Can a hospital submit an application for the balance not paid by insurance? No. If a victim chooses to bill insurance then neither the victim, nor the hospital, can bill the SAVE Fund for balances or copays remaining after insurance payments. However, the victim can submit an application to the Crime Victims’ Compensation Program and, if accepted, will have a copay or any outstanding out-of-pocket costs considered for payment. For services covered by the SAVE Fund, can a provider bill insurance for remaining amounts after the Fund has paid? However, if the Fund does not pay the bill due to lack of funds or for any reason(s) other than untimely or incomplete submission of the bill (see OAR 137-084-0030(2)(3) »), then the provider can bill the victim or victim’s insurance for the costs mentioned above. Can we bill for triage? What if that is the only service we provide before sending the victim to a larger hospital for other services? No, you cannot bill for triage. If the victim is going to another hospital to receive the partial or complete medical assessment, then the original hospital that saw the patient cannot bill the SAVE Fund for any costs. What are some of the other reasons why the SAVE Fund would not pay a provider for services rendered? The application form submitted by the provider was not filled out completely (front and back), did not have complete invoices or billing statements attached, or was submitted more than one year from the date of service. Services were not provided by an eligible medical services provider. Services were provided to someone other than an eligible victim. Services were not provided in accordance with the requirements in 2003 Oregon Laws, Ch. 789 or OAR 137-084-0001 through 137-084-0030, including the timeline requirements for a complete medical assessment (within 84 hours of the sexual assault), and partial medical assessment (within 168 hours of the sexual assault). Services provided were duplicate services for the same incident. Insufficient funds in the SAVE Fund to cover the services provided. What amount goes on the billing line of the application? The amount we would actually bill, or the maximum for the service? Please put in the actual amount that you would bill for the specific service covered by the SAVE Fund. The Fund will be tracking actual billings and how much is paid out. 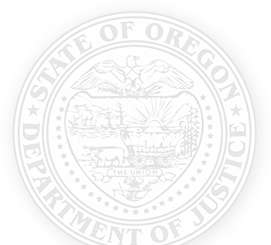 If the figure you enter is more than the maximum currently allowed by Oregon Administrative Rule, the amount will be adjusted electronically before payment is issued.